This mod requires the Resource Pack Core Library and the Rice Cultivating Civilization Mod in order to work. Please, ensure you have it installed and on a higher position in the mods list. 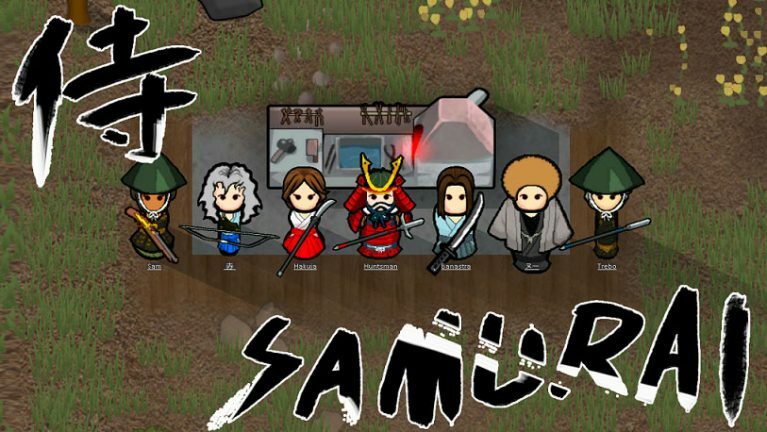 As a piece of the Zipangu pack of mods, the Samurai Mod brings two samurai factions to RimWorld (neutral and hostile). For 133 years, war was a constant flow in Japan, as clans rose and fell, each seeking to unify the land under their banner. Known as the Sengoku Period or Sengoku Jidai, this age of “Warring States” saw such notable figures as Oda Nobunaga, Toyotomi Hideyoshi and Tokugawa Ieyasu. Each unified the land more than the last, till Ieyasu established the Tokugawa Shogunate, which unified Japan and ended the Sengoku Period. Need to hack and slash? How about 9 new melee weapons? Want kill from a distance? Then try out the 7 new ranged weapons! Or, perhaps you just want to play it safe; if so, then we’ve got 24 new pieces of armor and apparel. Is hair your defining feature? From way up here it seems so, thus try out the 5 new female and 6 new male hairstyles! We also added 7 new traits for your colonists to feel special about. The Samurai Mod is not compatible with Combat Extended. The Samurai Mod is available in English (by Mugekur i), Simplified Chinese (by Suigetu) and Traditional Chinese (by BiscuitMiner). Along with the Zipangu Pack, the Samurai Mod is an effort to bring the Japanese culture into RimWorld. The clothes and weapons added by the Samurai Mod are awesome. Fight the samurai in RimWorld now!